Thank you for subscribing to my newsletter. Much has occurred since my last note to you. Earlier this month I was elected as Chair of the Lake County Board by my fellow board members. I look forward to working with newly elected County Board Vice-Chair Mary Ross Cunningham, who has served our county for over sixteen years. I am very proud to chair this dedicated board, which includes seven new board members, and I look forward to serving you in this capacity over the next two years. I am confident we will work together as a team to achieve positive results for the residents of Lake County. In addition, Angelo Kyle of Waukegan was elected as President of the Lake County Forest Preserves, and Julie Simpson of Vernon Hills to serve as Vice President. Both will serve two-year terms, which end December 2020. ● Permissible EtO emission levels at these facilities. To fully assess the risk to Lake County residents, the Health Department has requested that the USEPA conduct outdoor air quality monitoring at multiple sampling locations; perform an in-depth investigation of EtO emissions at the two facilities (Medline and Vantage); and share results with Lake County residents, local, state, and federal agencies. Questions and concerns should be sent via email to the U.S. EPA at eto@epa.gov. I am very pleased that in our first meeting as a new board, we voted to discontinue the use of purchasing Cards (P-Cards) by Lake County Board members. While board members can still use funds for informational mailings and to attend board-related conferences and training, all expenses will be handled by county administration. This saves time, labor, and confusion as to how dollars can be spent by your elected official. Every month, the Lake County Board participates in committee meetings across the different areas of County Government, such as Public Works, Transportation, Health Department, Law & Judicial, etc. We established a new committee-Environment & Energy-which will consider policies related to sustainability initiatives, reducing carbon emissions, and impacts related to global warming. Watch this video as Rules Committee Chairman Paul Frank explains more. The FY19 operating budget — which funds the County’s day-to-day operations — is $3.3 million less than last year (or 1%). In an effort to provide some relief to taxpayers, this budget does not take the allowable property tax levy increase based on the Consumer Price Index. This keeps $3.4 million in taxpayers’ pockets. The only increase in property tax revenue will come from growth on new property. Lake County receives revenue from a variety of sources, such as sales tax, intergovernmental agreements, and charges for services. Lake County’s portion of your property tax payment is about 7%; the rest goes to other taxing bodies, including municipalities, townships, park districts and schools. Lake County’s budget invests in many service areas, from transportation and public safety to health and economic development/jobs. The County Board is committed to fiscal responsibility and delivering cost-effective, efficient services. As a result, the County has implemented operational efficiencies, leveraged technology and cut costs by sharing services between governments, which has made a difference to our bottom line. Lake County government has maintained a AAA credit rating (the highest possible) for more than 20 years due to our strong budgetary performance and well-managed financial operations, along with our strong financial policies and practices, healthy reserves and manageable debt. Make an Impact on Lake County Homelessness Volunteer for the annual Homeless Point-in-Time (PIT) Homeless Count on Jan. 30, 2019. 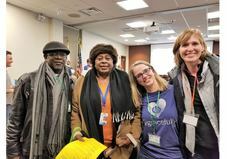 Each year, the Lake County Coalition for the Homeless holds the Point-in-Time Homeless Count where volunteers search across Lake County to interview and offer assistance to unsheltered people experiencing homelessness. The data gathered helps coordinate services for people experiencing homelessness and allows organizations to track progress toward the goal of ending homelessness. Apply to volunteer. The Lake County Recorder of Deed's Office offers various services to our veterans and their families. This includes being the official keeper of veteran’s military records, or DD214. The Recorder’s Office is happy to provide veterans a free copy of this form upon the completion of a request for discharge record. Multiple exemptions are available through the Chief County Assessment Office that can help eligible veterans save money on their property taxes. Learn more about the exemptions available to veterans. Lake County Workforce Development offers a variety of job search services and training opportunities to help job seekers gain the necessary skills to be competitive in today’s job market. Veterans receive priority service, which includes specialty workshops. 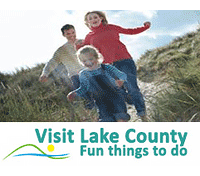 Visit the Job Center of Lake County’s website to learn more. The Lake County Stormwater Management Commission (SMC) is committed to reducing flood damages and improving water quality. 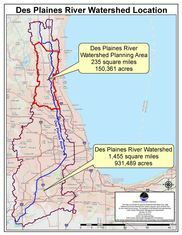 The County Board approved an ordinance to adopt the Des Plaines River Watershed-Based Plan to address water-related issues impacting communities within the Des Plaines River watershed. The Plan identifies more than 3,000 projects that can improve water quality, reduce flood damage, protect and enhance natural resources, provide watershed education opportunities, and improve community cooperation and participation in watershed improvement activities. SMC is also closely monitoring how the FoxConn development at the headwaters of the Des Plaines River watershed will impact property owners. With more than 200 lakes and rivers in the county, it’s important to keep our water safe. Lake County Public Works has been working hard to increase their sustainability efforts to their water operations, from taking phosphorous and nutrients out of wastewater that can be harmful to aquatic life, to performing energy audits performed in coordination with the Illinois EPA. Watch Video. Using salt to de-ice roads is a common method to make roads less slick, but that salt washes away into lakes and streams or seeps into groundwater supplies which can threaten aquatic plants and animals, and even human health. Lake County makes it a priority to use salt wisely while maintaining the highest level of service. Watch this video to learn more how Lake County agencies are working with public and private partners to take steps to reduce salt by using safe alternatives - like beet juice. This is the 10th year that the County hosted the Annual Deicing Workshop to promote alternative winter maintenance practices and the importance of responsible road salt use to snow and ice professionals. The Illinois Department of Transportation (IDOT) is looking for your feedback about the condition of the state’s transportation infrastructure. IDOT is responsible for maintaining federal and state highways in Illinois. That means in Lake County they are responsible for state routes like IL 22, IL 132, IL 60 and IL 120 – and federal highways like U.S. 45 and U.S. 12. Take the survey! As you discover a growing pile of shoes and clothing that no longer fits, don’t throw them away! Keep them out of the landfills and recycle it all instead. As part of the Solid Waste Agency of Lake County's Reuse-A-Shoe program, new locations have opened to bring your new and gently used shoes including drop-off bins in Deerfield, Gages Lake, Port Barrington and Vernon Hills. Learn more about the Reuse-A-Shoe program, including all locations and what items are accepted. And, make sure to learn about all of SWALCO’s recycling programs, including clothing and textiles, household electronics and household chemical waste. Before heading out to a Lake County Forest Preserve for a winter hike or a twirl on the ice, check the status map on the winter sports page. With small solar lights to guide their way, hikers, skiers and snowshoers can get some brisk evening exercise along the 1.3-mile fitness trail at Old School Forest Preserve in Libertyville and along a 1.65-mile hilly section of the Millennium Trail adjacent to the Winter Sports Area at Lakewood Forest Preserve in Wauconda. Though regular preserve hours are 6:30 a.m. to sunset, the illuminated trails and adjacent parking lots will remain open after sunset until 9 p.m., daily through Sunday, March 10. Bicycle and equestrian traffic are not permitted on the lighted trails after sunset. Dogs are allowed but must be leashed. As always, it is an honor to represent you on the Lake County Board and the Forest Preserve Board. Please don't hesitate to contact me with any questions, concerns, or suggestions you may have. Thank you and best wishes to you and your family for a peaceful and safe holiday season and a healthy and happy 2019.